It’s been a fun week so far in Charleston and the quarter-final line-up is all set. There were a couple of upsets on Thursday including the loss of the defending champion. Still, it’s a decent line-up heading into finals weekend with seven seeds still left in the tournament. 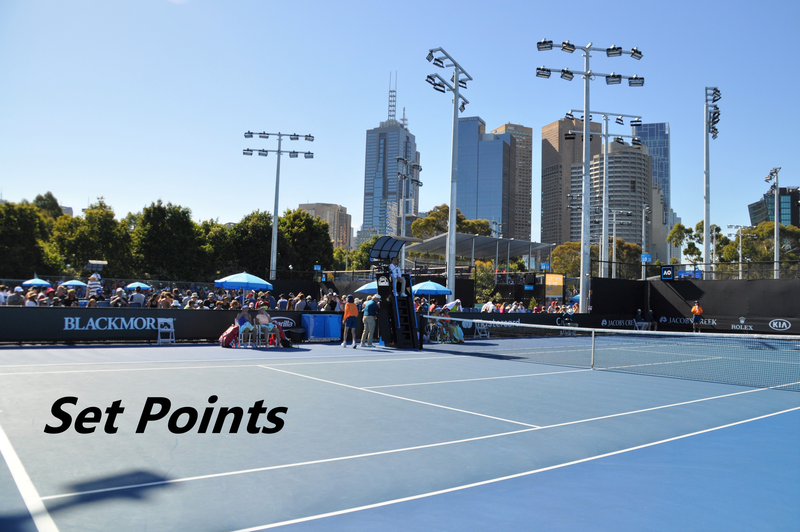 Read on for highlights from day 4 of main draw action at the 2019 Volvo Car Open. Caroline Wozniacki won the last 11 points to edge Mihaela Buzarnescu in tight three set tussle, 6-4 3-6 6-3 in two hours and 36 minutes. Wozniacki made a very bright start to the match but was slowly pegged back by Buzarnescu who started to find her range and return with interest. I thought Wozniacki started to get too defensive (and she admitted it herself in her post-match interview) and gave Buzarnescu too much rhythm. The Romanian player relished this with surges of aggressive tennis where she was whacking winners off both wings. Buzarnescu managed to recover a double break deficit in the decider against an increasingly frustrated, Wozniacki to level up at 3-3. It was really difficult to call which way it would go at this point with so many changes in momentum. Buzarnescu had a game point at 3-3. Wozniacki went into lockdown mode as she served strongly and ran away with the match as errors started to fly from Buzarnescu’s racquet. A tough match for Wozniacki where her positiviity was tested. In the end, a very committed display against a dangerous opponent. I think Buzarnescu’s level is pretty much there. I feel like she is just lacking a bit of focus and consistency, and needs to build up her belief again. She was more engaged in the final two sets and we even saw a few monologues in the decider which I have missed! Finishing with a brilliant forehand return winner, Madison Keys beat Jelena Ostapenko, 7-5 6-2. It was the first time since the Australian Open that Keys has won back-to-back matches on the tour. I thought many of Ostapenko’s errors were due to Keys’s heavy hitting and Ostapenko having to re-adjust from her position on the baseline. As to be expected, Keys’s first serve won her many more free points than Ostapenko. It was a scrappy match but Keys steadily improved after a slow start and actually finished with a positive ratio of winners to unforced errors. Keys advances to a blockbuster quarter-final match with the number one seed, Sloane Stephens. There were two big upsets on Thursday with two of the top three seeds going out. Monica Puig scored her first top 10 win of the year, beating the number three seed, Aryna Sabalenka, 6-2 7-5. Puig dropped her serve at *4-3 in the second set but was generally solid behind it and dictated the majority of rallies. I didn’t think Sabalenka was moving that well and she never really got going despite some producing some resistance in the second set. Maria Sakkari produced her best performance of the year by a country mile to oust the defending champion and number two seed, Kiki Bertens, 7-6(8) 6-3. Sakkari came from 1-4 down in the first set and saved four set points in the first set tiebreak. Sakkari just played a great match with super shape and depth on her groundstrokes. I was surprised with how passive Bertens was in her court positioning. I wondered if Kiki was nervous but she said in press (via WTA Insider) it was just about her game not coming together. The head-to-head is now split at 3-3 and the pattern continues with the winners… Bertens, Sakkari, Bertens, Sakkari, Bertens, Sakkari. Next time, Kiki! Belinda Bencic produced another clean display as she reached the quarter-finals without dropping a set. Bencic hit 23 winners to 11 unforced errors in a 6-2 7-5 win over Taylor Townsend. Bencic’s serve is increasingly becoming a weapon – in this match, she hit 75% of first serves in and dropped just 13 points behind her serve. Bencic’s groundstrokes look so sharp and she is taking the ball so early. It’s really great to see BB play like this again and continuing to progress from her title run in Dubai. A nice moment at the net between two of the nicest players on tour, Kiki Bertens and Maria Sakkari. Loved this honesty from Sloane! The number one seed rallied from a set and a double break down, and then a break down in the decider to beat Ajla Tomljanovic, 4-6 6-4 6-4. Sloane vs. Madison is the pick of Friday’s quarter-finals. The weather forecast isn’t looking too good though! I’m going for Stephens, Collins, Bencic and Wozniacki to reach the last four. I love the way Monica Puig has been playing lately. She had 29 winners to only 18 unforced errors against Collins. I’m hoping that this Monica/Kamau matchup continues to work. Yeah it’s a been a long time now since we saw Puig play really well in a tournament! Amazing to think that she’s an Olympic Gold medallist, really. I think she won her Olympic gold because she really wanted it (she said she was doing it to give her home country of Puerto Rico something to cheer about, and she managed that in spades). Seeing her crying on the podium during the medal presentation remains one of my stand-out memories of that Olympics; even if she never achieves anything of note in the game again, no one can take that away from her. I was a Puig fan from when she first broke out on tour. But it’s been so disappointing rooting for her since Rio that I’ve barely watched her play. My favourite match of hers was actually when she had an epic clash with Julia Goerges at the French a few years ago. I think if she were to do well at any one Slam, that would be it! A great run so far for Puig. I was so impressed with her patient, aggressive hitting against Collins. I feel like she has a real shot against Keys today.